Buy Tuxedo Unmasked a Coffee. ko-fi.com/tunmasked - Ko-fi ❤️ Where creators get paid by fans, with a 'Buy Me a Coffee' button. Thanks for stopping by! 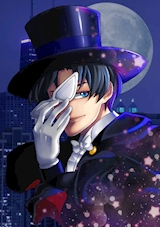 I've been doing Tuxedo Unmasked for a little over 2 years now, in the hopes of shedding some light on the mysteries in Sailor Moon. Your support means a lot and helps keep this blog alive! Secured Payments. Support goes to Tuxedo Unmasked's account. Upgrade Tuxedo Unmasked to a yearly Gold Membership with a one-time payment.